This is the latest in a series of articles devoted to my Great-grandfather Robert Patterson Gray’s (1844-1928) collection of century-old letters and other artifacts. These family heirlooms have only recently been catalogued, critiqued, and made available by my cousins Janet Hull and Dr. David Gray. I began several months ago with transcriptions of and commentaries on two letters sent by Missouri homesteader, my Great-great Uncle Samuel (1842-1919) to brother Robert in 1901 and 1906 and have commited to analyzing and posting something from the collection each month. This time the year is 1908, and the letters to Robert are from his sister Martha Ann (1853-after 1930), or Mattie as she is affectionately known, who lives near Seattle in America’s Great Northwest and is married to a Presbyterian minister, the Rev. Robert Edmonds. Of interest, he was a Candadian who became a naturalized U.S. citizen. We wonder if his family was at all connected to the small Washington town of the same name, Edmonds. The first letter is dated August 2, 1908, and refers to a Synod of Columbia church meeting which took place on Vashon Island, just west of Seattle in the Puget Sound, from which the couple has just returned. The Synod in those days was comprised of the greater Seattle area. Today, the Presbyterian jurisdiction has been enlarged and is called the Washington-Alaska Synod. Mattie and Robert drove 50 miles to meet a ferry boat that took them to the scenic island. We can imagine that the roads were still literally horse paths then, and Mattie had health problems. It’s no surprise that Mattie comments on how smoothly the car rides. We’ll hear more about her ailments later. 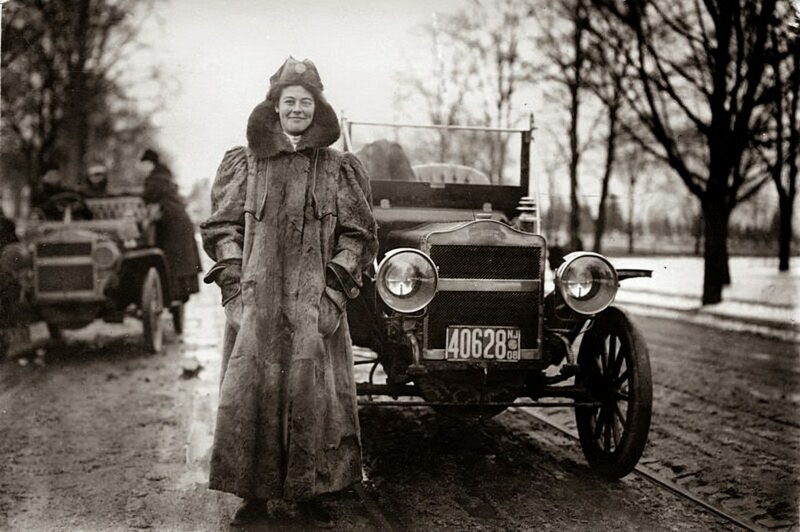 She mentions that they owned a Dodge, however that car company, started by two brothers, didn’t even officially manufacture complete cars until 1914, so what was it? 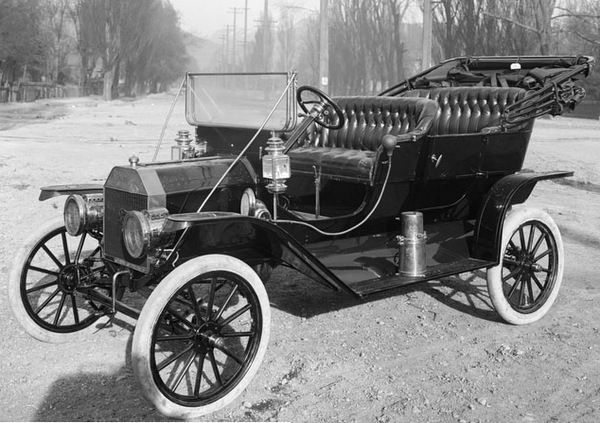 The Dodges of Michigan, in 1908, only supplied parts for the Olds Car Company and the Ford Motor Company in Detroit. Was the Edmonds’ family car an early hybrid? We wonder if Mattie and Robert could afford to buy a newspaper to learn of any of this. Frugal as they must have been, we infer that they chose not to avail themselves of the amenities that may have been offered by the Synod. Instead, says Mattie, “We hired a room for $2.50 and boarded ourselves.” Having been to a Western Pennsylvania Conference meeting of the United Methodist Church, I am impressed with Mattie’s willingness to take in all the worship services and Bible studies offered that probably lasted for hours at a time. The main speaker, Dr. John McNaugher (1857-1947) of Pittsburgh, was an internationally known theologian, President of the Pittsburgh-Xenia Seminary for 35 years, and teacher, in the classroom for 50 years. His name is still attached to at least one school building in Pittsburgh and, of course, many articles and publications on a range of religious subjects. How wonderful that Mattie, a continent away from her homestead, could hear a man of God from back in her own area of the country. The dated first letter below goes into more detail about the physical and mental health of Mattie and sister Sarah Jane, or Jennie (1838-after 1920) as she is known. Remember that Jennie, unmarried, had come to live with the Edmonds after the death of their mother Elizabeth in 1895 and the handing down of the family farm to brother Robert. (See Elizabeth’s will.) We’ll talk more about the condition of these women in the second commentary, but it sounds as if Mattie’s problem is maintaining a healthy weight and with that, her strength. Apparently a new higher calorie diet is helping both her mind and body. As we’ll see later, sister Jennie’s main problem is her age. It looks like Mattie writes “85” in both letters. This presents a problem. The age in the first letter is written over, so is open to interpretation. If Jennie were born in 1838, as census data and family tradition indicate, she would have been only 70. If she was, ideed, 85, she would have to have been born in 1823, which was only 5 years after her mother, so this can’t be. Could the date on the first letter be incorrect? Further research is needed. Nevertheless, Jennie’s eyesight is failing and she has to be cared for at every turn. This is a real burden for Mattie, who has her own problems. Fortunately, Jennie’s family and friends from back East remember her, and brother Robert has been sending money from the profit of the Gray family farm for her care for at least five years, as prescribed in their mother’s will. The will also had provided some money for Mattie, although that had run out in 1901. The first letter says that Mattie is sending photographs to Robert, however several things are not clear: Who is the Mary that isn’t in the family picture? A daughter? Census data lists a daughter named Mary who would have been in her early 20‘s then. Is James a grandson living somewhere else? Others, whom we don’t know, are listed in the second letter. We believe that when Mattie writes, “She sends her love . . . although she cannot see the pictures distinctly,” she is referring to her older sister Jennie. Comments in the second letter seem to suggest Jennie has failing eyesight. Below is the interesting text of that first 1908 letter from across the continent to a loving brother 3,000 miles away. Please keep reading afterward for more commentary and more text. I began a letter to you more than a week ago and did not get it finished. Someway it has got missed. We attended the summer conference of the Synod of the Columbia for one week. Only got home yesterday. We went about 50 miles in the auto and crossed on the ferry to Vashon Island in Puget Sound between Tacoma & Seattle. We hired a room for $2.50 and boarded ourselves. The meeting was very helpful & inspiring. One hour each day of the week was spent listening to Dr. McNaugher, President of Pittsburgh U.P, Seminary discoursing on Paul’s epistle to the Thessalonians. He is a master in exposition of the Bible. Ministers as well as others said they never knew Phillipians contained so much as all of it the very essence of Christianity. Every morning from 8:30 till twelve was spent in devotional exercises and talks & discussions on various phases of church work. The evenings with sermons & the afternoons were partially given to rest and recreation. The Synod usually had a business session for one or two hrs. The men’s amusement was usually pitching horseshoes. I stood the trip quite well. Our car is a Dodge, a very easy riding car, and I never tire much riding in it. I have lost flesh but have gained strength by my new diet. Jennie is much as she has been for some time. I feel that I am still gaining, which thought adds to my betterment. I had given up the idea that I would ever be any better. Jennie spent her 85th [? written over] birthday very pleasantly. She was remembered with cards and little gifts by several friends. I am sending a group [of photos] containing all of ours but Mary taken last summer when James & family were there. [The rest is written in left hand margin as she has run out of room.] She sends her love to all & was much pleased to get the pictures, although she cannot see pictures distinctly. I never use her money for our use. We get her everything to make her comfortable and have taken the best possible care of her or she would not have lived to such an age. We do not ask for anything, only for her. As we said before, in both letters, Jennie is referred to as being 85-years old, but knowing that she was born in 1838, she would have been only 70. As the date of the first letter is clearly 1908, both letters surely were composed and mailed on or around the same date. Do we have the wrong Jennie? It’s doubful. But who are the others mentioned later with whom we are unfamiliar: Mary, who has been hospitalized and not seen in 2 years, and Aggie and Alec Leslie, probably cousins from Mother Elizabeth’s side. The first letter mentions a James, whom we don’t know either. A look at the 1910 U.S. Census for the Edmonds home in Olympia Ward, Thurston, Washington, reveals that, indeed, Jennie Gray would have been 70-years old in 1908. While she is in the 1920 Federal records, she is not found in the 1930 Census, thus we can presume that she died in her 80’s. We also learned that Mary was Mattie and Robert’s daughter, in her early 20’s at the time of this letter. We don’t know Mary’s medical problems nor the Aggie, Alex, or James referred to. Our burden is a very heavy one at present. I never was strong and I tried to do, and overdone [sic] till I have gotten almost past recovery. I have not strength to work and have suffered much. Mattie’s problem, she states, is high blood pressure complicated by a recent case of the Grippe, or influenza as we call it today. With all of that, she contracts Neuralgia in her head and right ear. Blood pressure is easily controlled today, and the Flu can run its course in a few days. It sounds as if she, unfortunately, may have caught an ear infection, perhaps from coughing, which inflamed the nerves in her head and scalp. She must have thought she was dying from all the discomfort, so for a 55-year old woman to be “down” for only three days is remarkable. No one would expect her to care for her older sister, let alone do housework. The next part of the letter certainly gives a glimse into the economics of the early 20th century: a cleaning woman’s hourly wage was at least 40-cents an hour, as “fixed by law.” It seems that the job at the Edmonds would take several days, and thus would cost more than $10.00, “a high-priced country woman’s wages,” she says sarcastically. Mattie is between a rock and a hard place. She feels that she would have to do part of the work herself, just to show the hired hand how, and this just can’t happen, feeling as poorly as she does. Seems as though Mattie needs as much care as Jennie. With all the information on the internet today, it’s easy to learn what world events took place in any given year, as we outlined at the beginning of this two-part commentary. But, to hear from family who were alive at the time, the actual words from their mouths and hearts through the written word, is priceless and sheds much light and understanding on the why’s and how’s of their everyday lives. Imagine wages at 40-cents an hour, an automobile costing $825, women not being allowed to do certain things in public or seen as not being able to do certain things at all that men could do. We take a lot for granted today, but our ancestors have a lot to teach us. I don’t see how I can tell you I got the money safe and thank you very much for it. Oh, you don’t know how much. I have so many friends to thank. God bless them. Your letter & the check came safely to hand today. We all thank you very much for it. I am sure we do not want you to rob your self, if you have done that. Our burden is a very heavy one at present. As you know, I never was strong and I tried to do, and overdone till I have gotten almost past recovery. I have not strength to work and have suffered much. I was beginning to feel stronger and less discomfort from the high blood pressure when I had a hard spell of grippe which made me worse than ever. I had rallied some from that when I took neuralgia in [my] head and right ear, and was down with that for three days. We could not get a capable woman to do for us for less than $10.00. This is a high priced country woman’s wages. [They] are fixed by law also. The number of hours they work. You cannot get a woman to do my cleaning under 40-cents an hour. Just as soon as I am strong enough to do a part of the work and do not have to be waited on myself, we will get a cheaper help. I am so nervous and am made so much worse by having things to look after and manage that I am not fit to take in help that is not experienced. Jennie took the grippe about three weeks ago. While she did not seem to have it hard, yet she has not yet recovered her usual strength of either body or mind and takes much more waiting on. She cried, poor thing, because she could not write what she wanted to say. She wants me to tell you Aggie & Alec Leslie remember her every Christmas with a gift of money. Our children have always been very good to give to her. I never use her money for our use. We get her everything to make her comfortable and have taken the best possible care of her or she would not have lived to such an age. She is well on in her 85th year. We do not ask for anything, only for her.